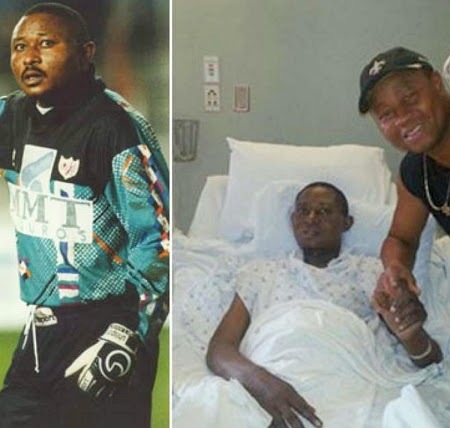 A famous Nigerian goalkeeper who was popular in the early 80s, Wilfred Agbonavbare is clinging to life at an hospital in the United States of America. 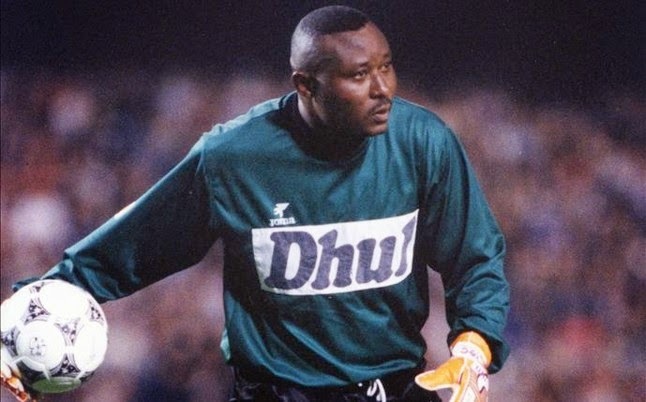 Agbonavbare who lost his wife to breast cancer back in 2012 claimed he had spent all his money at a Spanish-owned cancer treatment hospital in Florida. The footballer who relocated to Spain a while back has spent close to 5 months in a Tampa Florida hospital. Hope the Nigerian Federal Government can come to his rescue. @bezo i think you will *** before him at least you go and open the door of heaven for him pls learn how to respect people and have a human feelings for once in your life time ok. this guy is in a big pain what he need now is your prayer not to wish him died. Suspect. Wife died of cancer …now him. Hmmmm!! !1Who did he wrong? May God have mercy on him. Though this may sound callous, i agree with Bezo….this is just a fact of life. God have mercy on us all.